Editor’s Note: Amos Schocken is the publisher of Haaretz, one of Israel’s most influential newspapers and in his article below, uses the term ‘apartheid’ to describe Israel’s policies and practices in the occupied Palestinian West Bank. It is, he says, an ideology ‘Gush Emunim (Bloc of the Faithful) which regards Israel as exclusively for Jews. Hence, the house demolitions, evictions of families from their homes, land appropriations, confiscation and denial of permits, prohibition of free movement and the different laws applied to both settlers and Palestinians are just some of the insidious ways that Israel ensures the fulfillment of this racist ideology. In other words, apartheid is “a necessary tool”. Certainly, it is only part of the Palestinian narrative of dispossession and ethnic cleansing, but Shocken’s recognition of the true character of the Israeli state today shows that it is impossible for Jews and supporters of Israel to ignore the ugly realities the Palestinians have long endured. Let’s hope that our own politicians begin to see the light too and begin holding Israel to account for its many human rights violations and criminal acts against the much maligned Palestinians. 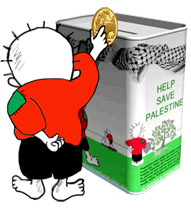 At that time, Israel had a strategy – which began to be implemented in the Oslo accords, put an end to the priority granted the settlement project and aimed to improve the treatment of Israel’s Arab citizens. If things had gone differently, the Iran issue might look different today. 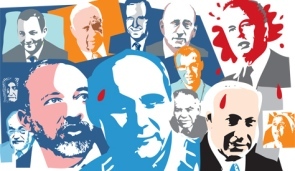 However, as it turned out, the Oslo strategy collided with another, stronger ideology: the ideology of Gush Emunim (Bloc of the Faithful ), which since the 1970s, apart from the Oslo period and the time of the withdrawal from Gaza, has established the concrete basis for the actions of Israel’s governments. Even governments that were ostensibly far removed from the Gush Emunim strategy implemented it in practice. Ehud Barak boasted that, in contrast to other prime ministers, he did not return territory to the Palestinians – and there’s no need to point out once again the increase in the number of settlers during his tenure. The government of Ehud Olmert, which declared its intention to move toward a policy of hitkansut (or “convergence,” another name for what Ariel Sharon termed “disengagement” ) in Judea and Samaria, held talks with senior Palestinians on an agreement but did not stop the settlement enterprise, which conflicts with the possibility of any agreement. 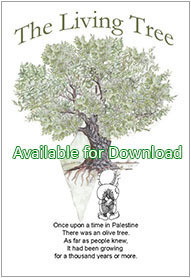 The strategy that follows from the ideology of Gush Emunim is clear and simple: It perceives of the Six-Day War as the continuation of the War of Independence, both in terms of seizure of territory, and in its impact on the Palestinian population. According to this strategy, the occupation boundaries of the Six-Day War are the borders that Israel must set for itself. And with regard to the Palestinians living in that territory – those who did not flee or were not expelled – they must be subjected to a harsh regime that will encourage their flight, eventuate in their expulsion, deprive them of their rights, and bring about a situation in which those who remain will not be even second-class citizens, and their fate will be of interest to no one. They will be like the Palestinian refugees of the War of Independence; that is their desired status. As for those who are not refugees, an attempt should be made to turn them into “absentees.” Unlike the Palestinians who remained in Israel after the War of Independence, the Palestinians in the territories should not receive Israeli citizenship, owing to their large number, but then this, too, should be of interest to no one. The term “apartheid” refers to the undemocratic system of discriminating between the rights of the whites and the blacks, which once existed in South Africa. Even though there is a difference between the apartheid that was practiced there and what is happening in the territories, there are also some points of resemblance. There are two population groups in one region, one of which possesses all the rights and protections, while the other is deprived of rights and is ruled by the first group. This is a flagrantly undemocratic situation. Because of its inherent illegality, at least in democratic terms, an apartheid regime cannot allow opposition and criticism. The Gush Emunim ideology is obliged to eliminate the latter, and to prevent every effort to block its activity, even if that activity is illegal and even criminal, meant to maintain apartheid. The illegal activity needs to be made legal, whether by amending laws or by changing their judicial interpretation – such things have occurred before, in other places and at other times. 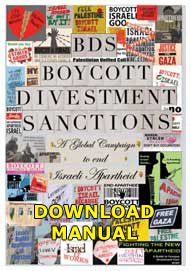 Against this background, we are now seeing the campaign of legislation against, and the unbridled slandering of the Supreme Court, against human rights organizations and against the press, as well as the so-called boycott law, which is aimed at preventing the possibility of dealing with Israeli apartheid in the way South African apartheid was dealt with. It is against this same background that legislation has been submitted that is directed against the Arab citizens in Israel, such as the Loyalty Law and the proposal for a “Basic Law of Israel as the Nation-State of the Jewish People.” It is against this background that a campaign of incitement and intimidation is being waged against the necessary and justified critique being voiced by members of academia. Similarly, this line of thinking goes, the Supreme Court’s interpretation of human rights laws also requires its elimination in its present format. Judgments such as those relating to the Kaadan family (allowing an Arab family to build a home in a Jewish community ); the selling of Jewish National Fund land to Arab citizens of Israel; the amendment to the Citizenship Law (no ruling has yet been handed down, but there seems to be a possibility that a majority of justices will rule it illegal ); the opening of a highway to Palestinian traffic – all these rulings conflict with essential elements in Gush Emunim ideology: the discrimination between Jews and Palestinians (in Israel and the territories ) and the deprivation of the Palestinians’ rights, which transform them into second-class people, absentees or, best of all, refugees. Does an Israel of this kind have a future? Over and beyond the question of whether Jewish morality and the Jewish experience allow such circumstances to exist, it is clear that this is a flagrantly unstable and even dangerous situation. It is a situation that will prevent Israel from fully realizing its vast potential, a situation of living by the sword – a sword that could be a third intifada, the collapse of peace with Egypt and a confrontation with a nuclear Iran. Yitzhak Rabin understood that.